This topic contains 1,859 replies, has 93 voices, and was last updated by JR19759 1 day, 12 hours ago. Your formula for faces is a great lesson for construction. About the only thing I do different is lining the tops of the ears with the eye line. That’s the way I was taught in school. This reply was modified 1 month ago by ams. When the superhuman boom first occured after “The Moment”, W.I.L.D decided to put together a team of superheroes to monitor and police the emergant superpowered population. This would lead to the creation of A Division. But this wasn’t the first attempt to create such a team. W.I.L.D even recycled the codename they would give A Division, “The Protectors Project”. 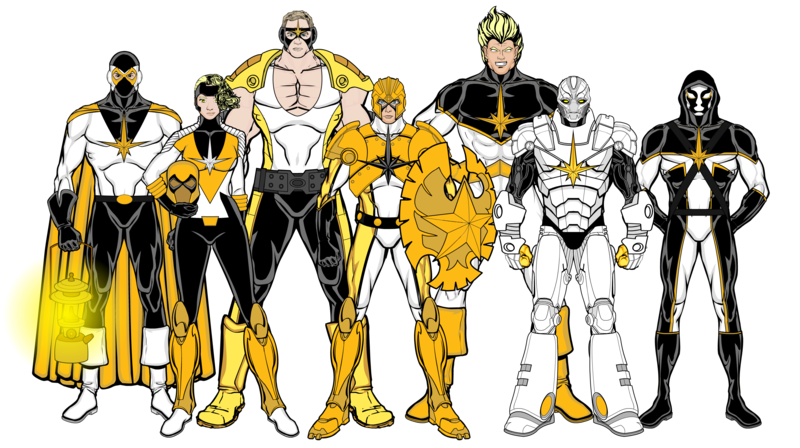 Originally approaching Ryan Dawn, Golden Guardian of the then current version of Team Supreme, to be the team leader, W.I.L.D collected together a small group of the strongest superhumans they could find for the team. Dubbed “The Protectors”, the team would last for 5 years, battling numerous national, internation and planetary threats. However, it was not to last. The details of their last mission are classified, and none of the living team members will talk about it. All that is known is that the mission ended with The Watchman blinded, Andromeda missing and Golden Guardian dead. Mr. E would go AWOL shortly after and Goliath Man would retire from heroics althogether in the aftermath. When W.I.L.D created A Division only The Titan would return, with Paragon turning down the invitation. 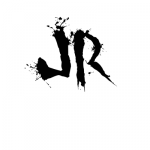 This reply was modified 1 month ago by JR19759. One of the Eldar, The Spectre is a primordial force of destruction. At the dawn of the universe, he rampaged across the stars, until he was sealed away in the ether between realities by the other Eldar. Each planet contains some form of lock to keep The Spectre imprisoned, but those planets that support life upon them also act as doorways. Should the lock on one of these planets be opened, then a portion of The Spectre’s power could escape and even such a small amount could spell doom for the planet. What is even more terrifying of a thought however, is that The Spectre isn’t even the strongest of the Eldar. 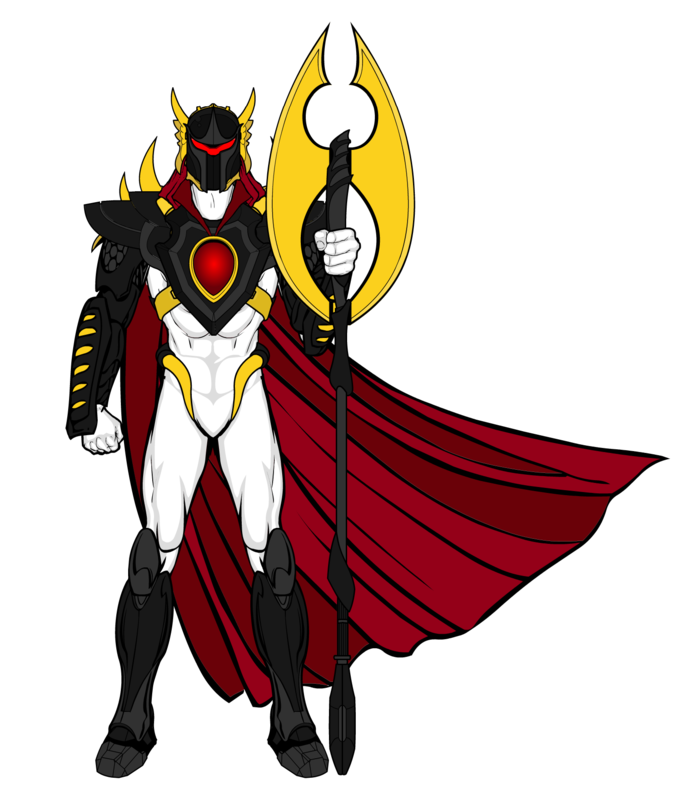 The supervillain Nightstalker believes that The Spectre is the source of his own power and has made it his life’s work to free the Eldar, with one of his more successful attempts leading to the blinding of his arch-enemy, The Watchman, and the disbanding of The Protectors. 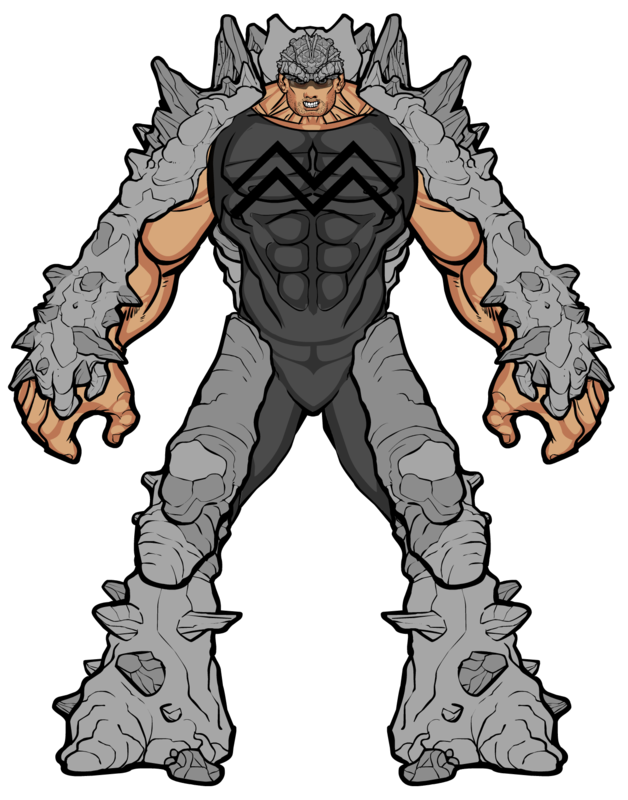 Born with a very striking superpower, Andrew Everetts is not only super-humanly strong and increadibly tall (standing at well over 8 foot at last measurement), he also has the rather unique ability to grow a rock-like substance across his body. Not only does this give him a noticable boost in offensive power (after all, it’s bad enough getting hit by someone who is super strong, let alone someone who is super strong and whose fist is essentially a boulder), but also gives him amazing defence as well, due to his rocky exterior being almost impervious to anything other than explosives. 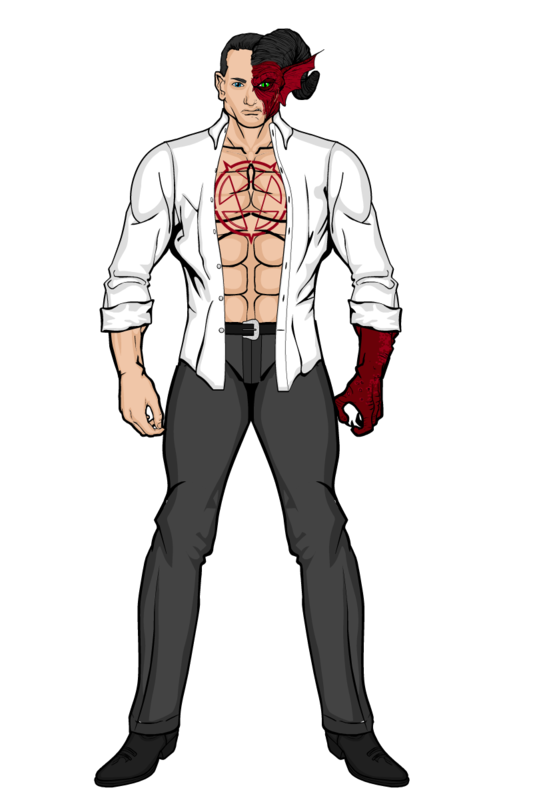 Everetts mostly works as muscle-for-hire for various criminal gangs and super villains, but he’s not adverse to pulling a job or two on his own, and he has notable form against a number of superheroes. He’s beaten Red Kite on a number of occasions and has fought the entirity of Team Supreme to a draw without any back-up, but most note-worthy was the time where he put King Hawk into a coma for a month, an impressive feat considering that the twins are known for having some of the fastest working healing factors of any superhero and have survived being dropped from around 100 feet up a skyscrapper before. 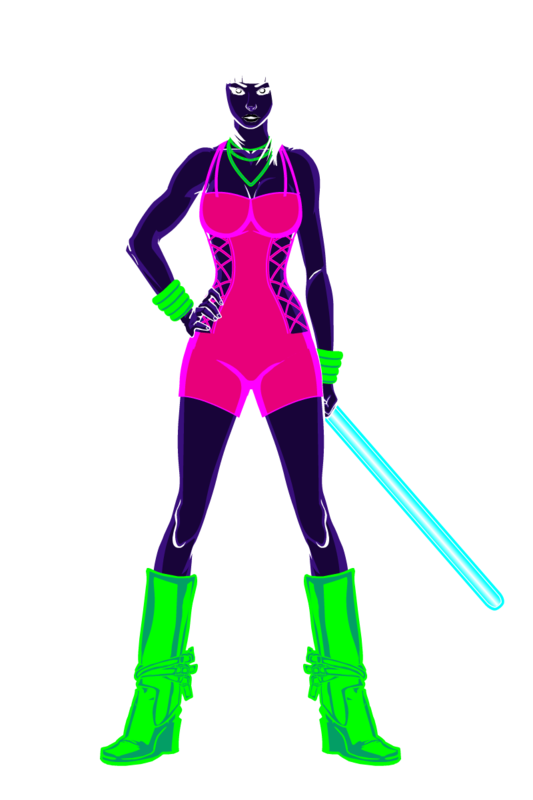 The owner of the infamous Emerson City nightclub and criminal hangout, Darkness, Neon is not just a pretty face (even if said face is colour inverted). 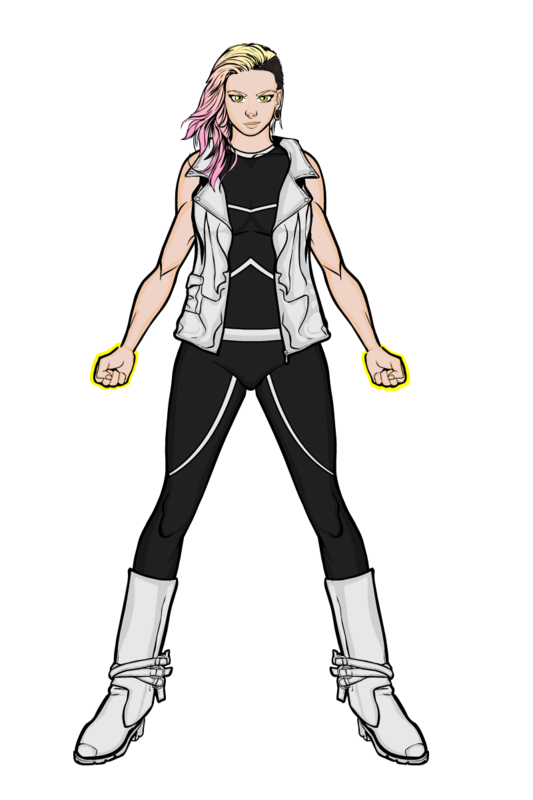 Able to absorb and manipulate light and then convert it into other forms of energy at will (most commonly sound and heat, but also kinetic energy if she so wishes, giving her short bursts of superhuman speed), she can be a formidable adversary depending on how much light she has at her disposal. Unfortunately for her, she cannot turn off her ability to absorb light and if she absorbs too much without releasing the energy she can suffer ill-effects, so she prefers to stay out of direct light as much as possible. Her nightclub is used as a front for all sorts of criminal activities, from drug dealing to hiring contract killers, Neon knows everyone who does anything bad in her city, and she can hook you up… for a price. This reply was modified 3 weeks, 4 days ago by JR19759. When her sister Maria (also known as the superhero Andromeda) went missing, Casey Langley not only lost a family member, but also her best friend. She idolised her older sister growing up and when her own latent superpowers began to show (she can supercharge objects through touch, the more force she puts into the contact the more supercharged the object she is touching becomes, to the point that her punches have explosive power), she dreamed of becoming a hero just like her sister. But then her sister disappeared and Casey’s world fell apart. All she ever heard was how people where sorry and how they couldn’t talk about what happened, all she needed was closure but nothing was forthcoming. And that made Casey angry. She began to use her powers to take out her frustrations on anybody she came across who might be commiting a crime, not matter how minor or even if they were actually commiting crime or not. Of course, this got her a lot of attention, not entirely good attention. Eventually, she was approached by Paragon, one of her sisters old teammates, who offered to take Casey under his wing and teach her what it means to be a true superhero. Casey agreed as she thought it would lead to her finding out what happened to her sister, but Paragon had other ideas and now Casey is being dragged along on a road trip around the world that’s part philosophy lecture and part disaster movie, accompanying a man who is the most powerful person on the planet but who refuses to lift a finger in his own defence. Sometimes Casey wonders why she’s doing it, but as Paragon says “there’s always a bigger picture”. This reply was modified 2 weeks, 4 days ago by JR19759. 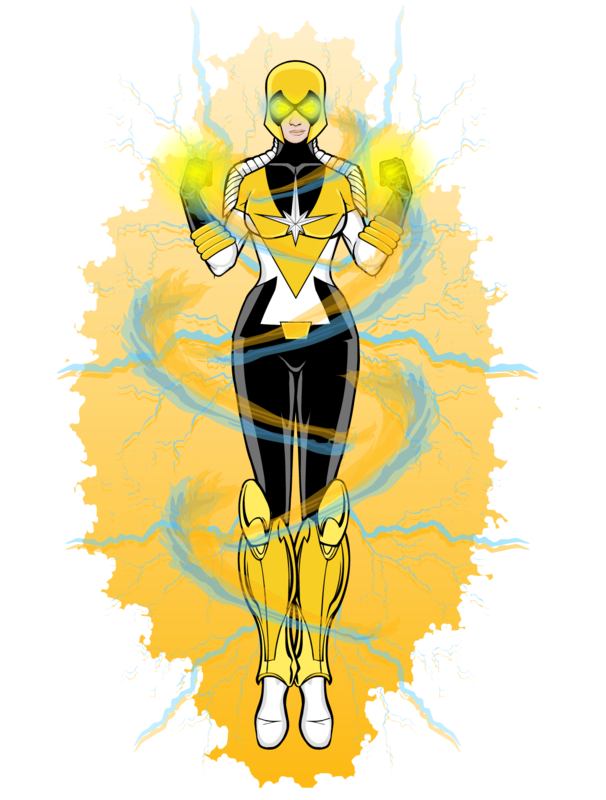 Discovered floating in deep space by Galactic Guard with no memory of anything that happened to her since her disappearance during The Protectors climactic battle with The Spectre, as well as increadible new cosmic powers, Maria Langley has been thrust right back into the line of duty without a moment to get a hold of what has happened to her. Now stuck with a group of aliens hunting an intergalactic, planet destroying criminal across the galaxy, she is now part of a race against time to stop Omnion from finding his prize, located somewhere one Earth. This reply was modified 2 weeks, 3 days ago by JR19759. 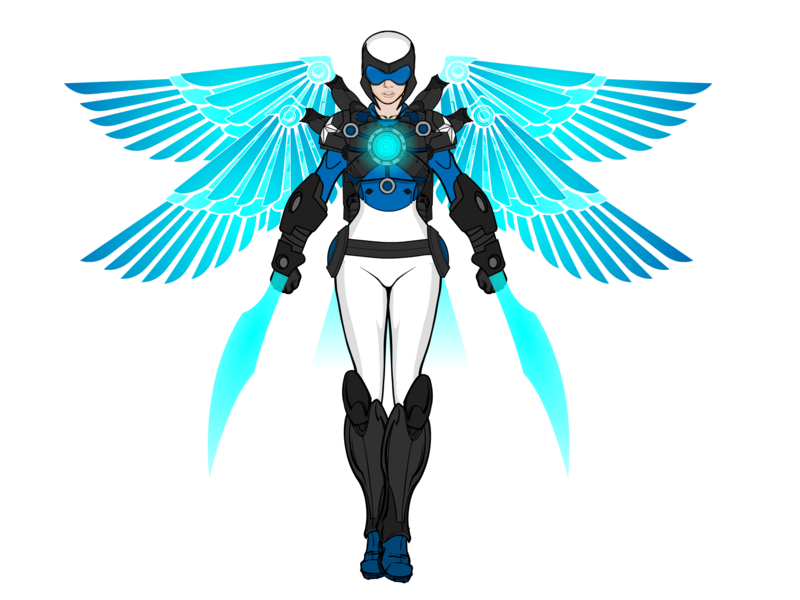 Redesign of Angel from A Division. Was never too happy with her costume or face, so I went back and repurposed pretty much everything from my Kloe character from a few years back. I’d already reused the wings for Angel, so why not the rest? Oh and the effect on the wings was a complete accident. Looks cool though. This reply was modified 2 weeks, 1 day ago by JR19759. 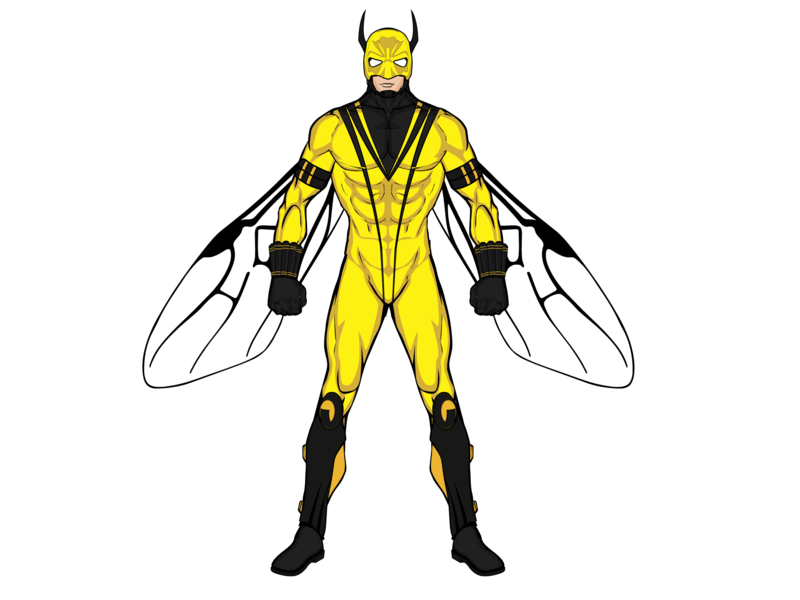 Equipment: Body Mounted Flight Apparatus (Stylised To Insect Wings), “Sting” Guantlets (Darts Included Utilise Various Neurotoxins Ranging From Short Term Paralysis To Severe Long Term Neural Damage). This reply was modified 1 week, 6 days ago by JR19759. Notes: Eco-Terrorist focused on animal rights. Mainy targets scientific facilities that conduct animal research, also targets game hunters and people who keep exotic pets and, sometimes, zoos. Whilst her goals are commendable, her methods are not as she often favours putting the most people at risk as possible, even if other, safer methods are possible and would achieve simular results. She often teams with Polar Bear, due to their simular ideologies and methods. This reply was modified 1 week, 3 days ago by JR19759. Once a respected archeologist and expert in theological history, Professor Damien Newark made the mistake of searching for the Akashic Records, a susposedly mythical text that contains all human knowledge, past, present and future. If he did find it, he paid an awful price. Now his body plays host to the demon Zarathos and, as the professor’s resolve weakens, the demon manifests its self through his flesh. Demonic possession is, as cliche as it sounds, hell. Two soulds are not meant to inhabit the same body, and when it is two souls from different metaphysical plains (in this case, hell and earth), the resulting struggle for dominance of the vessal is excruciating pain, akin to being burned by the fires of hell its self. Zarathos is generally indifferent to the affairs of men in his current state, but his fully manifested state is that of a demon of destruction, so he and Newark are watched closely by the SRC. This reply was modified 1 week, 1 day ago by JR19759. One of the Eldar, The Muses are one being of four parts (a trait they share with their sister, the twins The Veil and The Extant). 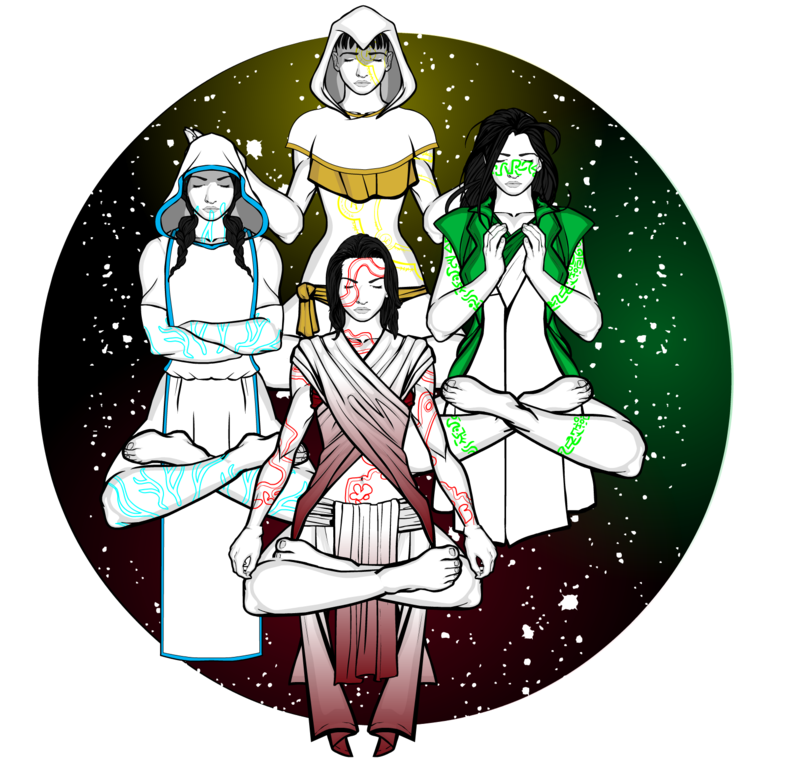 Each aspect represents a fundemental of the nature of all sentient races; with A’Ilia (yellow) representing wisdom, J’Alai (green) representing creativity, K’Iliai (blue) representing willpower and L’Iria (red) representing emotion. Together The Muses represents life and creation, just as the Eldar known as The Spectre represents death and destruction, so the two are often considered diametrically opposed, though The Eldar are more complicated than that. 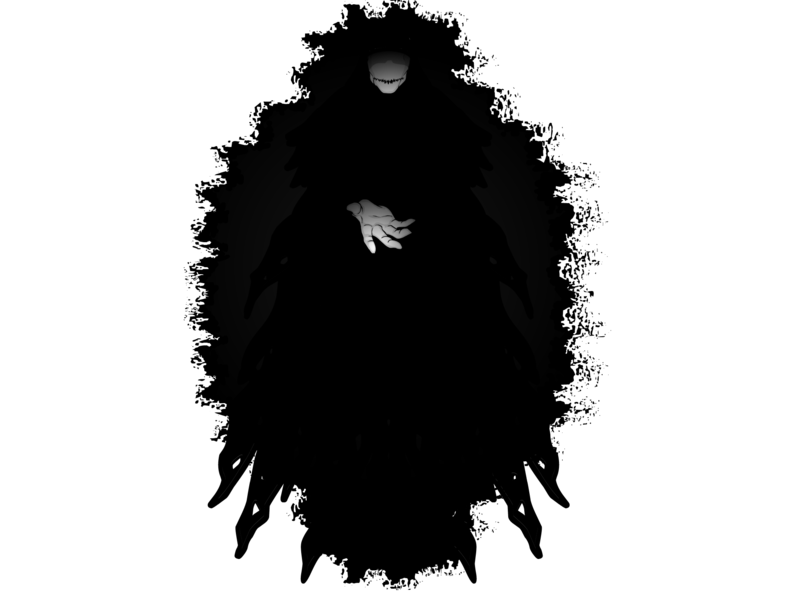 Whilst most would see The Spectre’s destructive nature as evil, to The Muses his existance is as nessescary as theirs is, where there is life there will always be death and where there is death, new life will come to replace it. This reply was modified 1 week ago by JR19759. 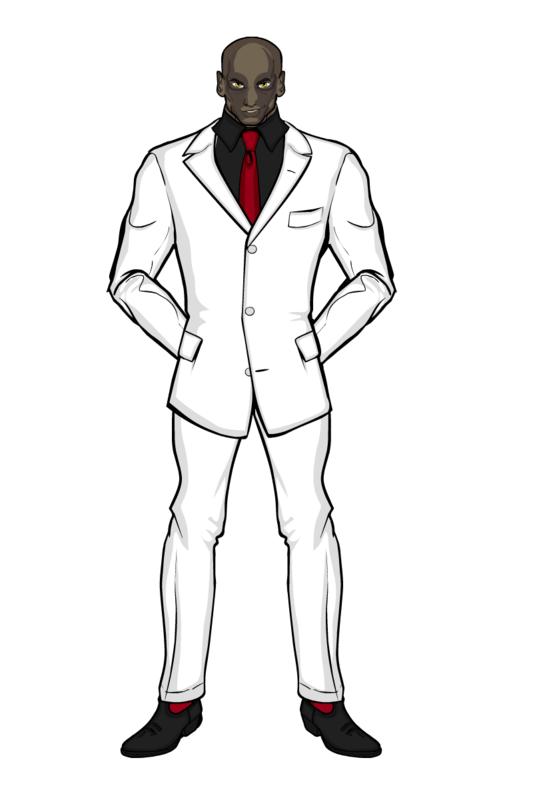 After the death of the Golden Guardian and Andromeda’s disappearance, Eddie Edwards (also known as Mr. E) essentially dropped off the face of the Earth. No-one knew what happened to him, he just vanished. Years later he would reappear as Mr. Edwards, a vicious, vindictive and violent criminal facilitator. The reaon for his drastic change is unclear, but it is obviously apparent that he is targeting his former Protectors team-mates. He sent the Oliver twins after Goliath Man’s super strength formula in order to aquire it himself, he organised the kidnapping of Andromeda’s sister Impact whilst she was travelling with Paragon and, most recently, he ochestrated the bombing of the A Division headquarters and the arson of the Outcasts home, The Hideaway. This reply was modified 4 days, 11 hours ago by JR19759. One of the Guardians Of The Eternal Gate, Arkeron is, to put it lightly, formidable. Powered by the energy of the Gate, his speed and strength are enough to overpower most foes, without him having to resort to his mystical powers. However, just because the Guardians are powerful doesn’t make them untouchable. The Eternal Gate was shattered and their home planet destroyed by a Rkuten Worldbreaker Battle Cruiser, after the Guardians refused to allow the Rkuten to use the gate as a weapon int ehir war against the Costrilians. Since then, Arkeron has been trying to find a home for what is left of his people and a place to rebuild the Eternal Gate. Fortunately, he has found a suitable planet. Unfortunately, that planet happens to be Earth, which is already occupied. And considering that the Guardians are well known for their single-mindedness and lack of interest in negotiating (considering that most of the time, people trying to negotitate with them want access to the Eternal Gate, so it is somewhat understandable), this could end up being very bad news for humanity. This reply was modified 2 days, 11 hours ago by JR19759. Before joining W.I.L.D, Lucy Falkner spent much of her teens as a superhero for hire, fighting “crime” for the highest bidder. Of course, she didn’t have much of a say in this, her commissions and pretty much her entire identity was controlled by her father, who lept at the chance of making money off of his daughters new superpowers after his public relations career failed to take off the way he had hoped. Of course, with her father controlling every aspect of her life, from what food she could eat to who she could be friends with, Lucy hated her life. She hated how she had to bleach her hair (“blonde is much more attractive and suggests purity and virtue” as her father said) and grow it long, she hated the stupid cape she had to wear and the fact that her costume showed off her chest, but most of all she hated the feeling of not having any control over what she was doing. 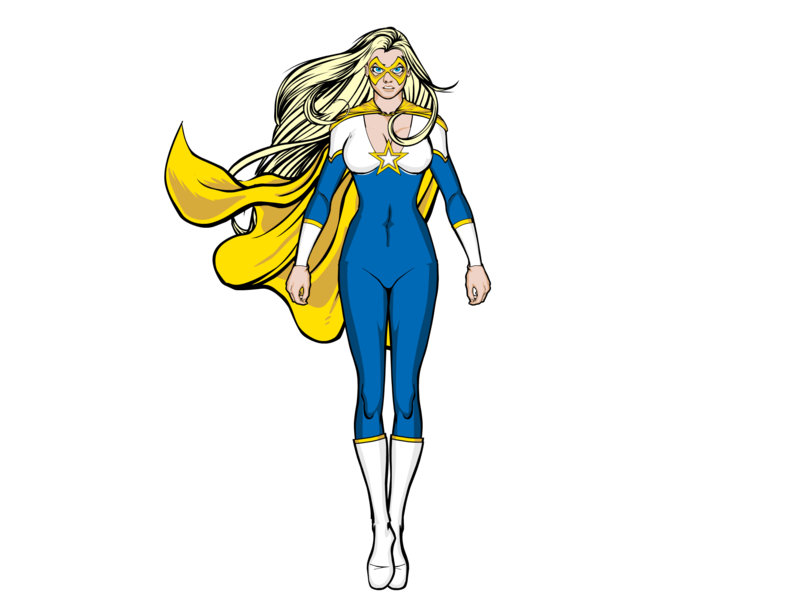 The commissions she would take (upon her fathers strict review) would invariably clash with what she felt she should be doing as a superhero. Fortunately, one benefit of being a famous superhero is that you get to meet other superheroes and they were all on Lucy’s list of “people she was allowed to be seen with” (good publicity you see). 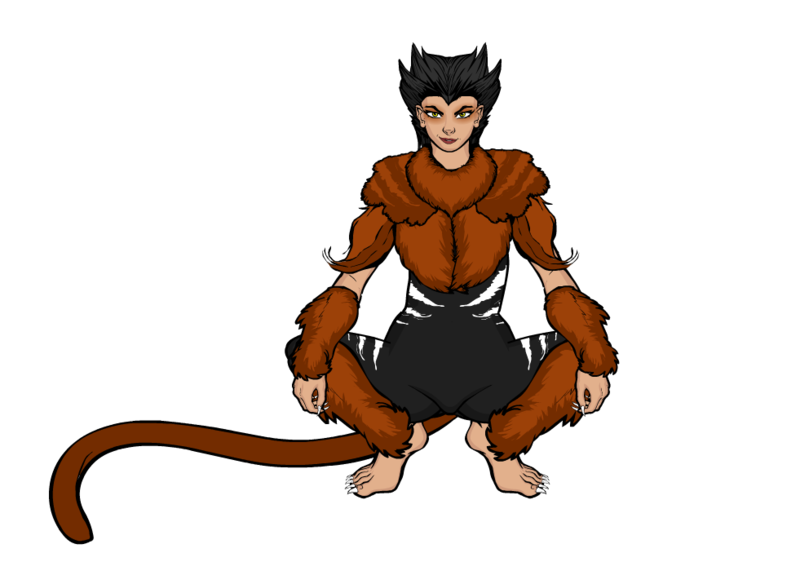 And one such hero she meet during this time was King Hawk, who, in his civilian identity, was a pretty good lawyer and helped Lucy wrestle her life back from her father. This reply was modified 1 day, 12 hours ago by JR19759.